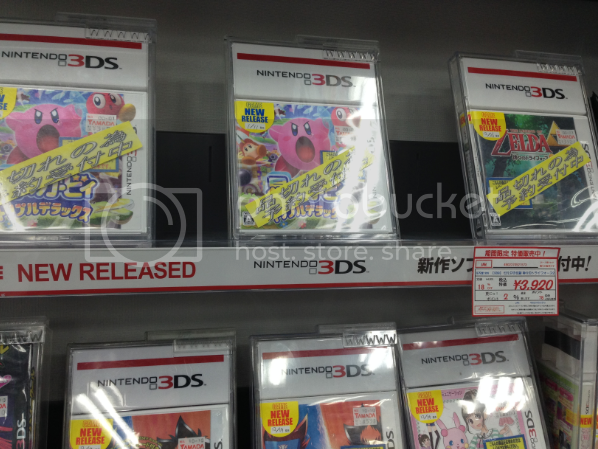 People gotta have their Kirby. And what the heck is battle for money? follow up to Run For Money, last years sleeper hit for 3DS which had sold 500,000 by mid 2013.
looks like this one is going to follow the same sales pattern. So what kind of numbers should we expect from Triple Deluxe? North of 100,000+ for sure. I'm guessing 150,000+ myself. Jesus those Comgnet numbers for Mario are awful, back to sub 10k lol. 9./10. 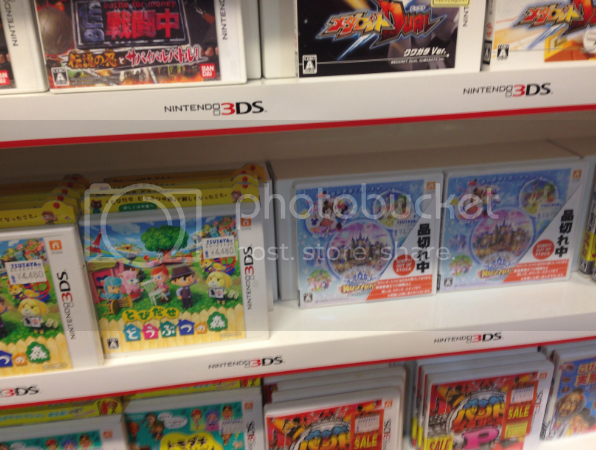 [3DS] Battle For Money Sentouchuu: Densetsu no Shinobi no Survival Battle! [PSP] Houkago Colorful Step: Undoubu! [*]The average Top 10 Tsutaya ranking was ~2.5 places different from the average Top 10 Media Create ranking. [*]70% unadjusted / 77% adjusted of Media Create's Top 10 is reflected within Tsutaya's Top 10. First week, something over 100K, probably over 150K. LTD it really depends but I'd say between 600 and 800k. So, The game that is currently impossible to find is Disney Magic Castle. MK7 is charting? Is it on sale or something? 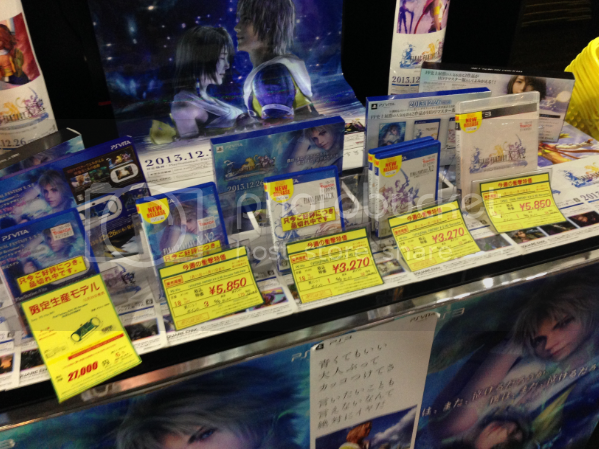 Seems that FF helped the Vita a lot. But I wonder what the next big Vita game could be? If for big you're thinking about a 200k seller or so, there is Project Diva F 2 and Soul Sacrifice Delta in march, and Sword Art Online in April. If by big you are meaning a game that can sell +400k units, there is only Phantasy Star Nova. But I think we'll get Toukiden 1.5 this year, if the hunting genre patern is anything to go buy. 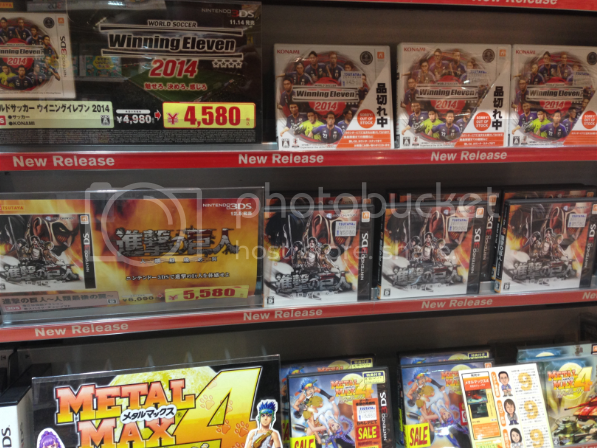 Do we know if Freedom Wars has any hype in Japan? And looks like we will see a new Attack of the Titan this year? I think this year we will be sharing an announcement, so please wait a while for that. Freedom Wars is a bit hard to predict, but it could go over pretty well considering they're pimping that its from the developers of God Eater, and it certainly looks like the most fast paced and action packed monster hunting style that God Eater is known for. It also has spiderman-grappling style movement, which is very popular in Japan due to Attack on Titan right now. I'll be kinda surprised if it doesn't do at least as well as Soul Sacrifice or better though. To sales gaffers, anyone knows how much did Soul Sacrifice do? I thought that game is not doing really well? Spike-Chunsoft really gotta do something about those Attack on Titan shortages, it's getting ridiculous. Not Disney being out of stock after so many months of release. That's hilarious. The game always had legs so why is stock suddenly an issue? At least with Attack on Titan they simply underestimated initial demand. Since F 2nd is launching on both PS3 and Vita simultaneously (a first for the series), I don't think it'll be a 200k seller for the Vita, as the PS3 version will cannibalize some of those potential sales. @BrunoMB : wow, that's quite the increase! I think we all expect Attack on Titans to do decently (100K or so) based on the popularity of the anime/manga. However, it blows my mind that it is selling 200K with sever stock issue and still outselling One Piece Unlimited Red. Why the hell is this Disney game selling well? Is it a legit good game? 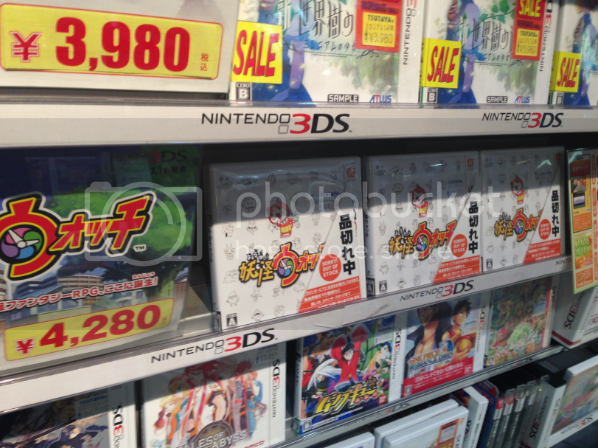 It is for 3DS what Magician's Quest was for DS. 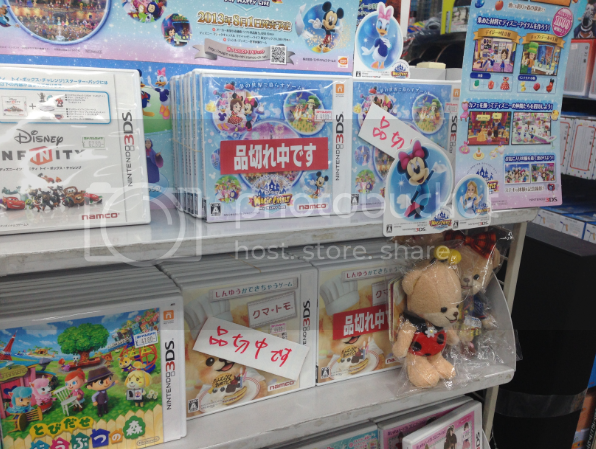 Japan loves Disney, and it probably has a large marketing budget. Disney is popular there. Like, it is every child dream, boy or girl, to go to Disneyland with their parent. 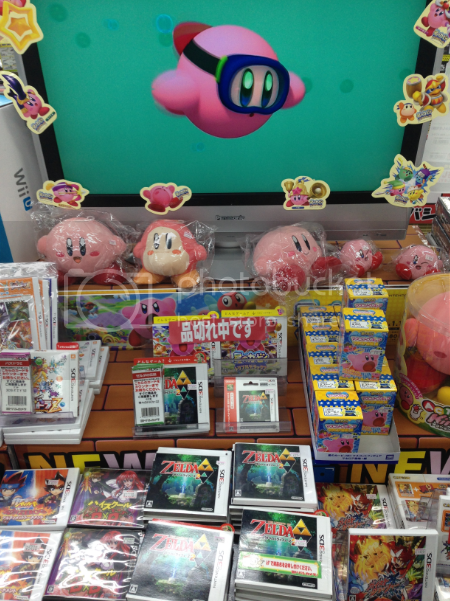 Can you say me what are the prices of games like nsmb2 or dk 3ds? IS it true that Yamada denki are the cheapest?? It's like Spike doesn't even care, lol. 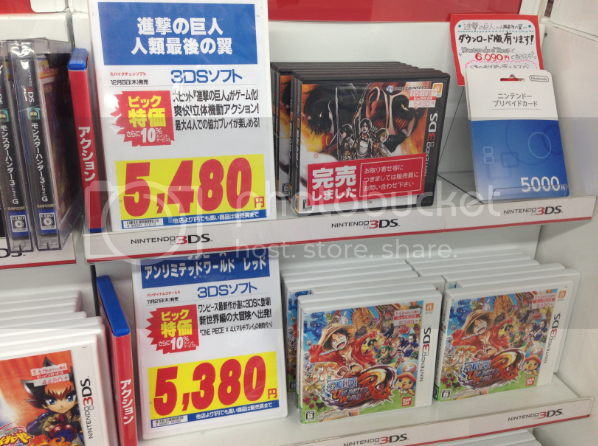 I wonder if Titan is selling well on the eShop. I don't know if this was posted here or not. 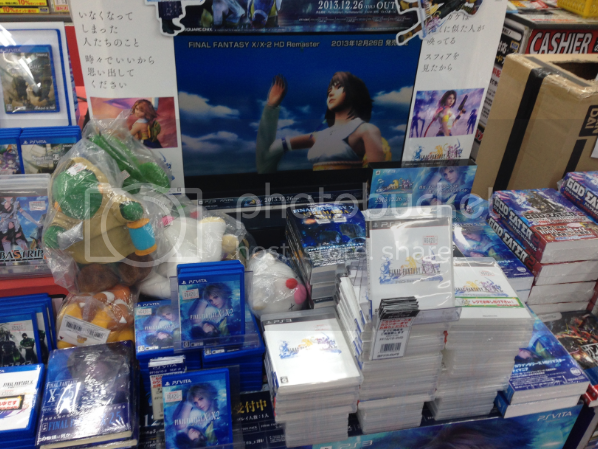 Siliconera has the full sales figure + shipment percentage of FF X/X-2 sales on VITA. 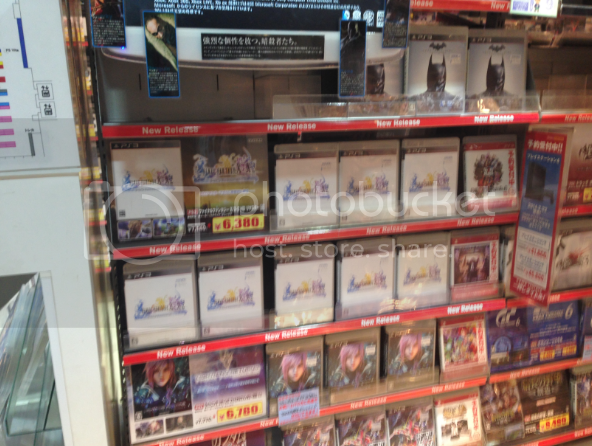 They also got the individual sales for each game on VITA. Numbers are pretty impressive to me. Especially on the VITA. The Vita sales aren't anything to write home about, whats impressive is the combined number with PS3 and the fact that the games are sold out. 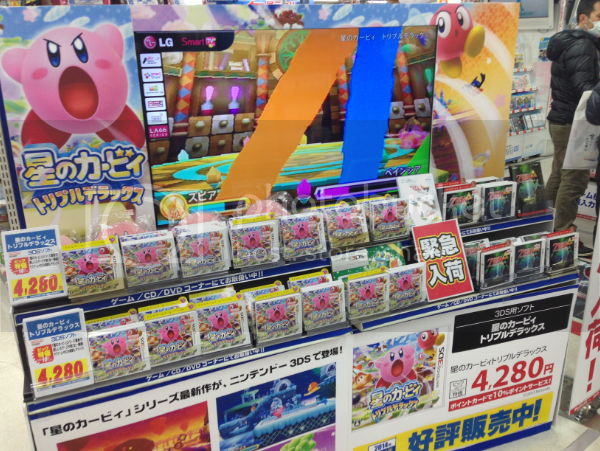 At the same time, many games are facing shortages so that is more an indication of retailers misjudging demand rather than the game being super popular. I'm surprised that the Vita version sold nearly as much as the PS3 version. Aren't the Vita numbers higher? With the 3 SKU combined yes, and the difference should be even bigger with digital numbers. Not really. To both of those points. Given that two of the SKU's are simply half the package each you should, at best, count the one with higher sales only. 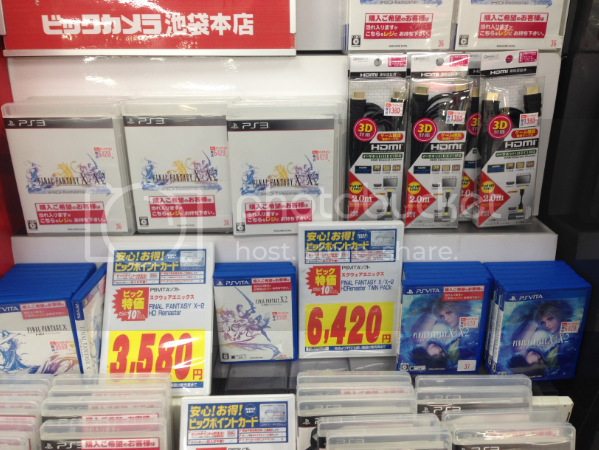 Implying that Vita digital sales are higher than PS3s for this particular game with no data to go on. LTD or first week for X-2 is wrong and I find hard to believe X/X-2 Twin Pack and X have exactly the same sellthrough. The source is legit but there are errors in the article. Does the character do an explosive fart half way through that gif? How's the general reception for the Attack on Titan game? Is it selling soley on the strength of the IP, or will it translate to success for future titles? Given that two of the SKU's are simply half the package each you should, at best, count the one with higher sales only. Actually I'd say it's the opposite. Sure there's no definitive data (we're still waiting for the Famitsu Download chart of December) but there were words of the Vita's game being OOS earlier than the PS3 version and we do know it had a higher sellthrough. Combined with the fact that Vita has a higher digital ratio of sales it's highly unlikely that the PS3 digital version sold more than the Vita one. 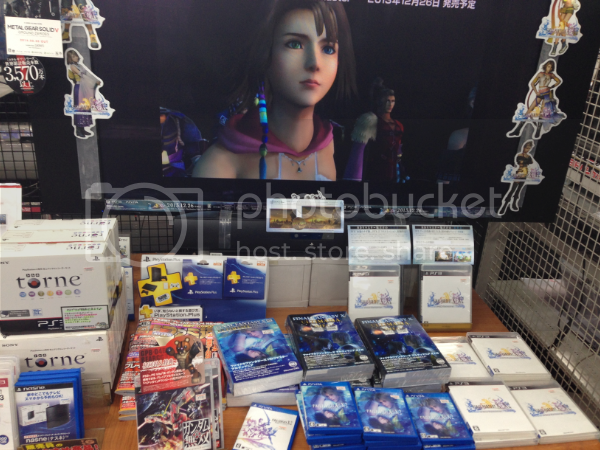 Still no date for the Famitsu DDL chart btw ? Hmm 3D World looks like it had a huge drop. Hope it can at least sell 20k this week. So, maybe I edit Week 52 and I add Zelda and FFX selltrhough. 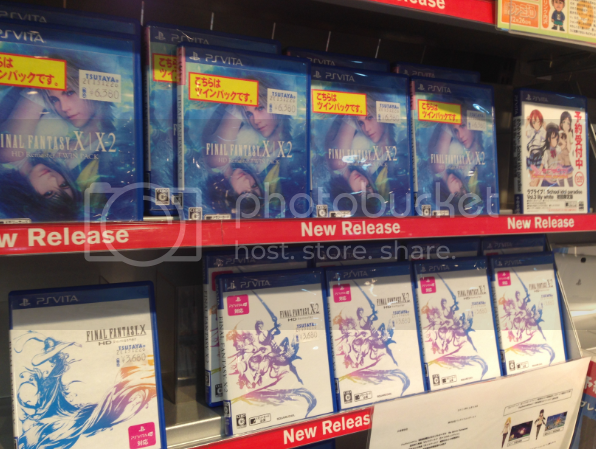 Maybe FFX standalone edition number could be added in this Week Media Create Top 50 too. What you think? Well, Azalyn said the Kirby's shipment was almost the same than Zelda. But I don't know if we can extrapolate it. 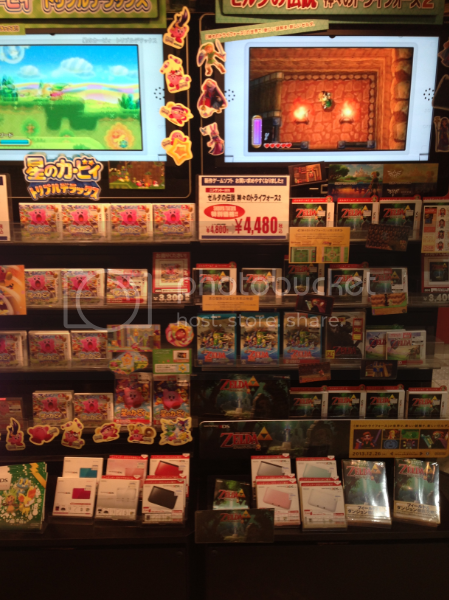 Yamada Denki has Nintendo First Party games for less than 4.000 yen. 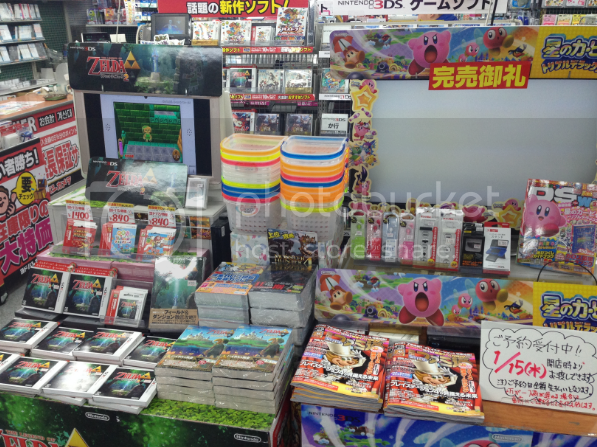 I believe is a very Nintendo focused shop. Nope, that character has some luck though. Missed getting shot in the nuts by a hair, and the sword got hit instead. Week 1 covered New Year's Eve so expect big drops (70 - 75%) for everything, especially evergreen titles and Nintendo games. 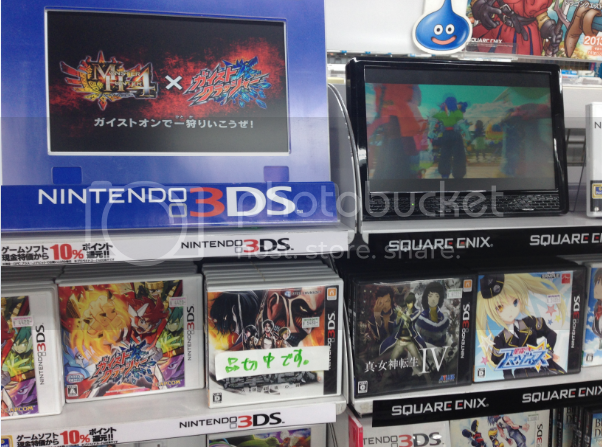 Phantasy Star Nova will hurt really bad when neither SEGA itself nor Atlus publish it in the West. No man, shut up! Don't toy with my heart like that! EDIT: Anyway, thanks for the answers about the Disney game. I'm very surprised. Yep, that's true. I didn't remember they were releasing both versions at the same time. I hope Atlus USA do the work. I mean, SEGA now has a brand now that makes money localizing niche stuff. If they have benefits releasing stuff like Conception II, why not Yakuza/Phantasy Star?